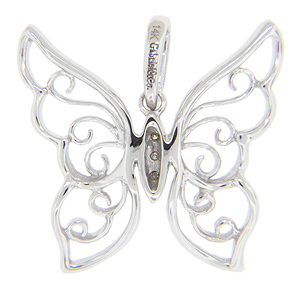 Curving designs ornament the wings of the butterfly on this 14K white gold antique style pendant. 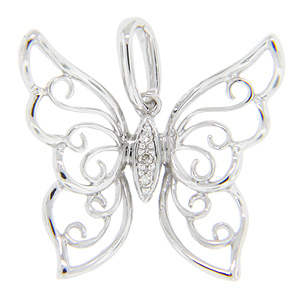 Round diamonds are set in the body of the butterfly. The pendant measures 3/4" in height by 13/16” in width.